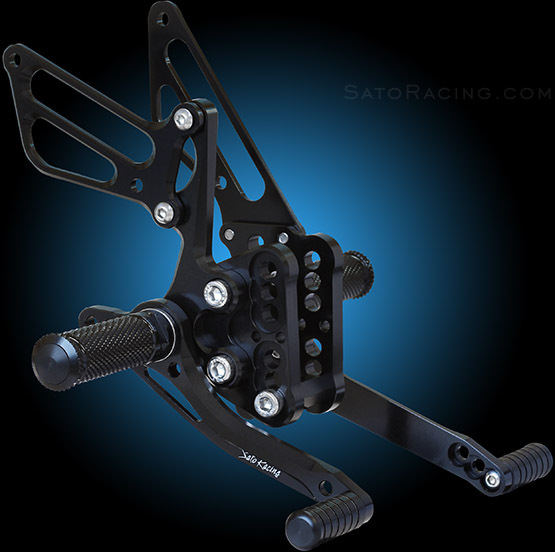 SATO RACING GSX-R1000 '05-'06 Rear Sets are CNC-machined from high grade billet aluminum and anodized in your choice of Black, Silver, or Gold finish. 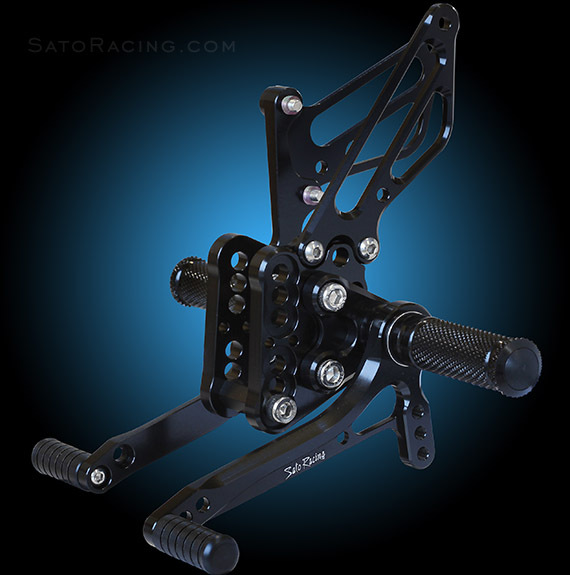 Modular design provides 9 adjustable positions in a range that brings your feet progressively higher up compared to stock, so you can find the ideal position for the fast straights and steep lean angles encountered on the track. 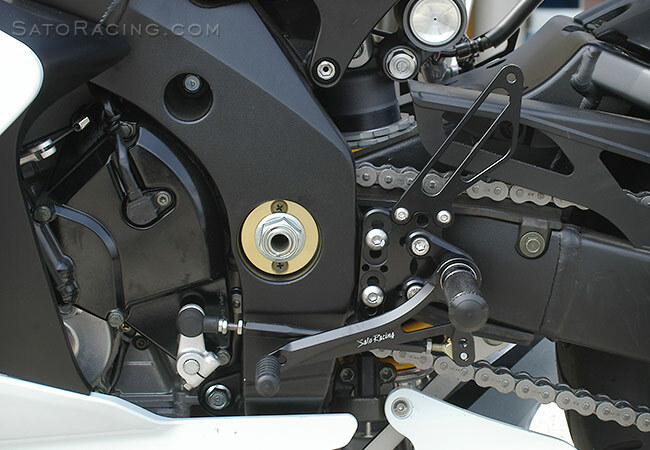 These Rear Sets can be used with either stock shift pattern or GP-style reverse shift pattern. 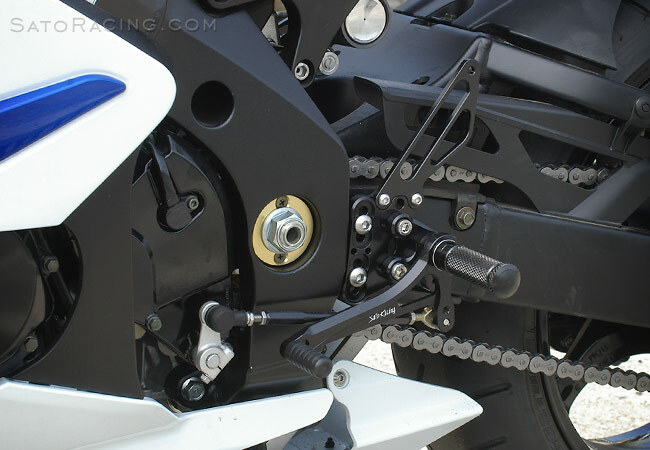 Options include an adjustable Black-anodized billet aluminum Shift Arm kit that matches our GSX-R1000 Rear Sets and can provide a shorter shift stroke compared to stock. The shift and brake pedals utilize miniature double stainless bearings for smooth, precise movement. 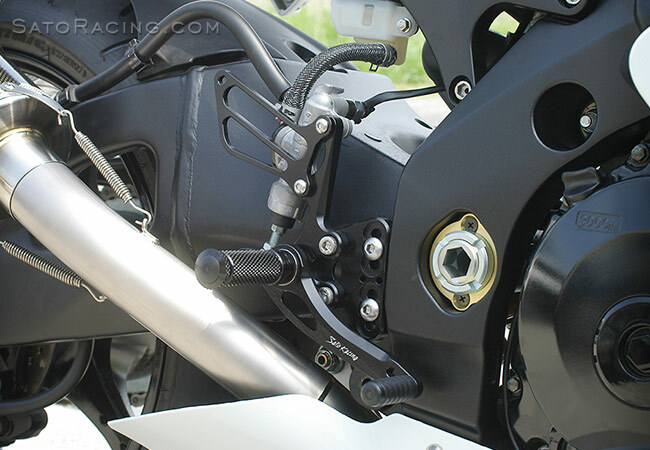 Deeply knurled footpegs provide excellent grip along with a comfortable, intuitive feel. You can switch from stock shift to reverse shift pattern by rotating the stock change arm.